I know I said last time that I was going to show you how I made my cute Christmas truck for my next post, but don’t worry. 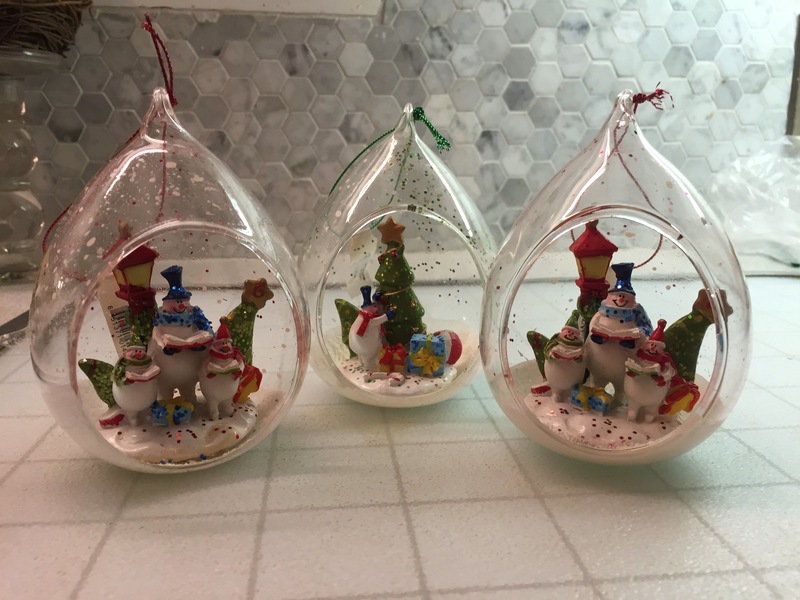 That one is coming soon 😉 For now, let’s talk about these quick and easy ornaments that were fun to put together and make a great last minute gift for teachers, neighbours and co-workers. 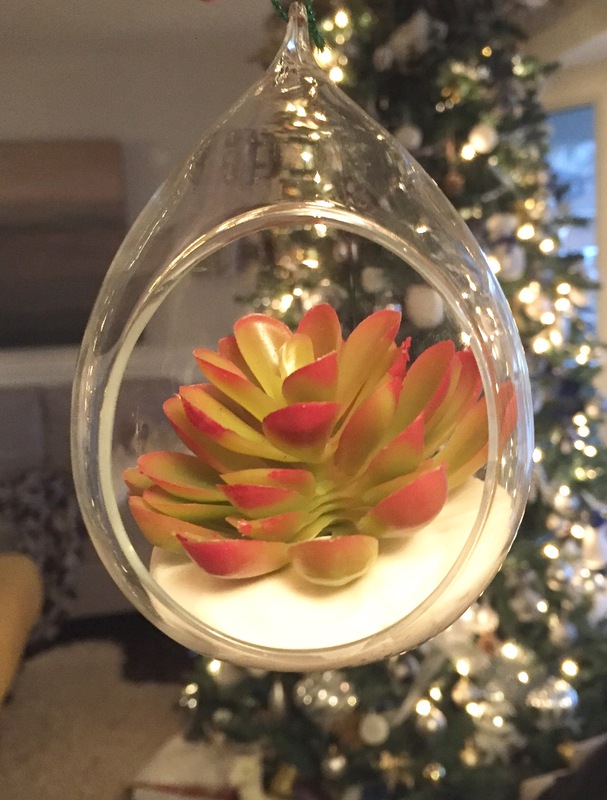 I found these glass ornaments for sale on my local virtual garage sale and realized that I could easily transform them into a modern, unique gift. I started off by carefully prying out the decoration inside (which I’ll likely use in another project). Then, I thoroughly washed the glass globes by hand getting all the glued on snow and sparkles off. 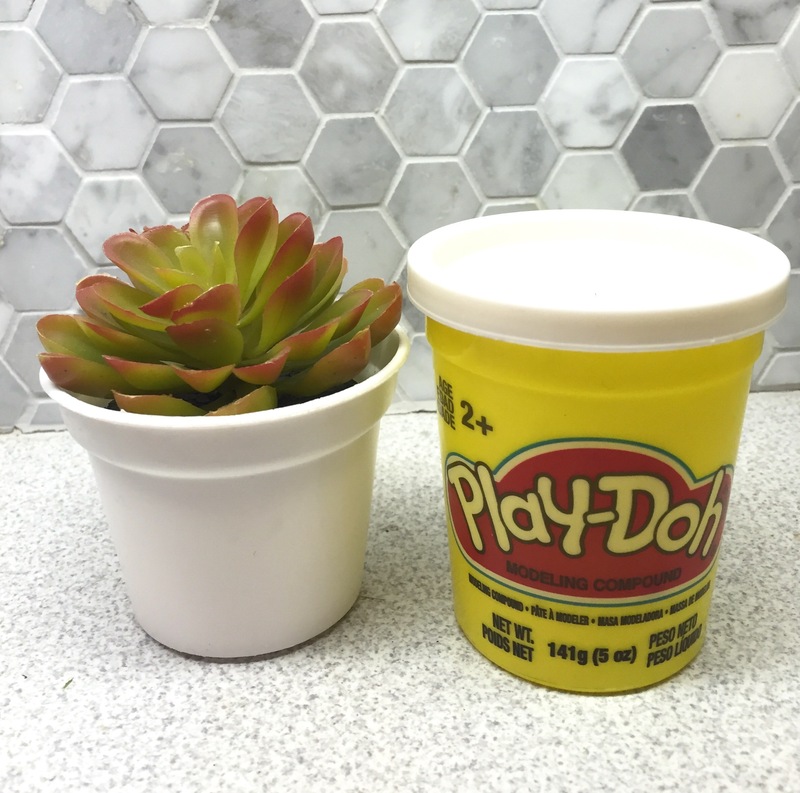 Next, I took a small handful of white play dough and smooched it into the bottom of the globe. The kids liked helping with this step. 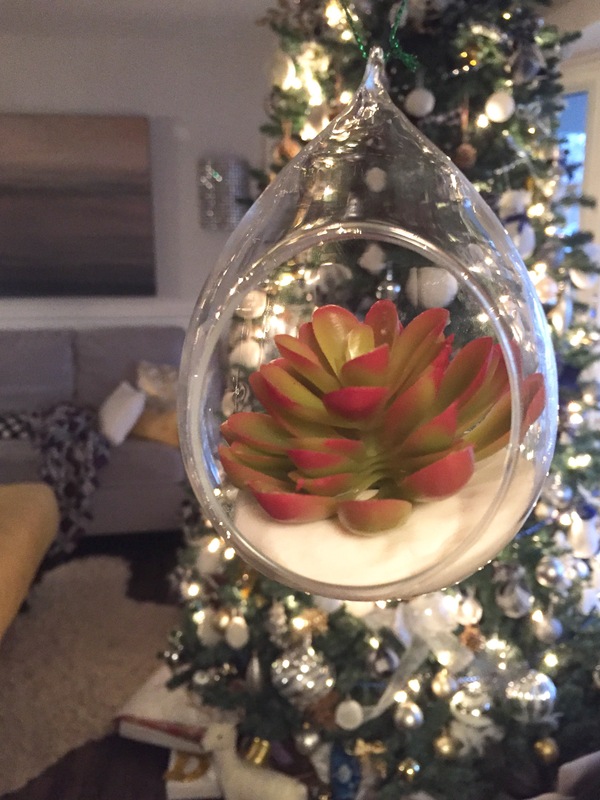 I decided to use a faux succulent in my ornaments, but you could always use real ones instead. 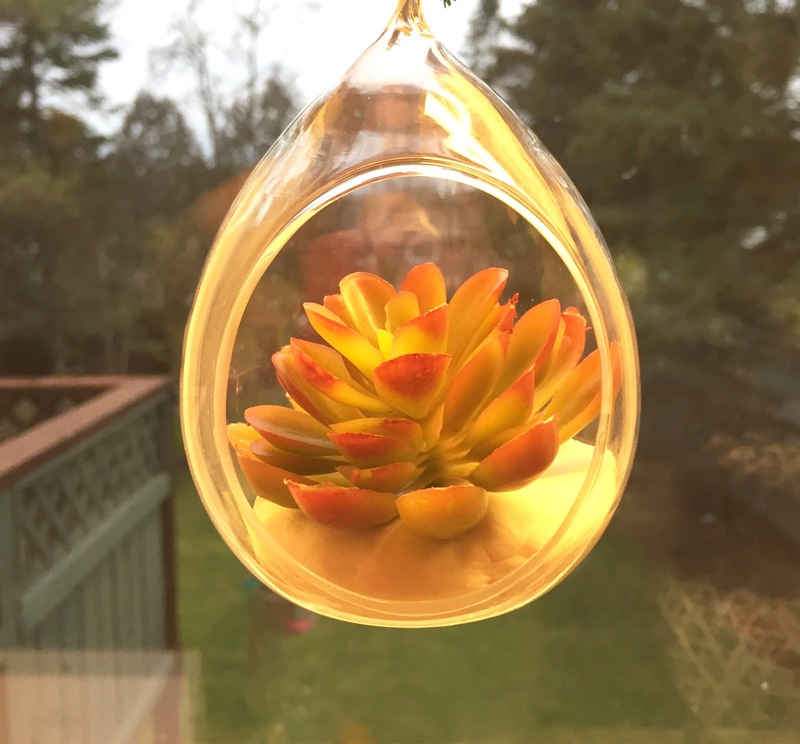 I then just added the succulent inside the globe. 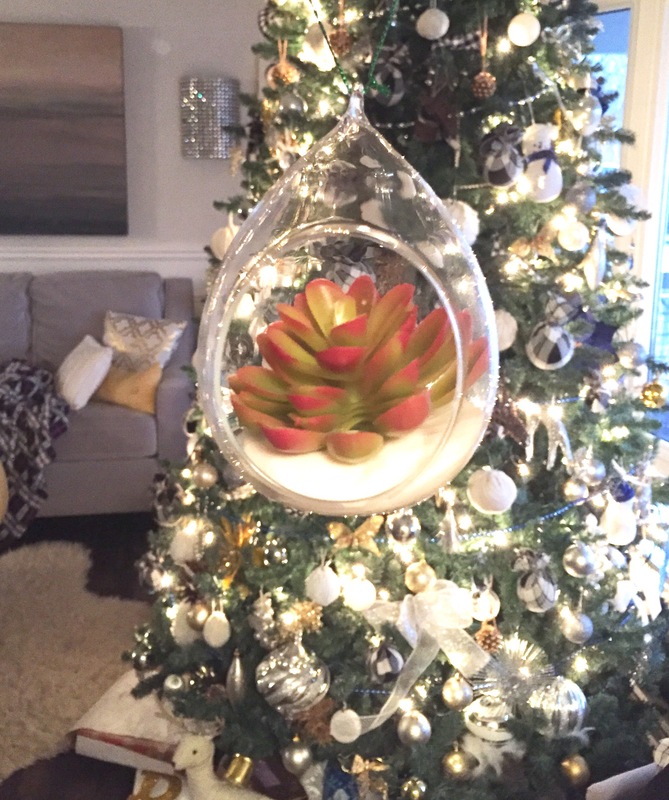 This modern take on the traditional tree ornament makes for a perfect gift since it can be hung on a Christmas tree as well as displayed all year round.